One of Chinas four major weapons, the dao is considered to be the General of All Weapons. The Dao is a sword no practitioner of martial arts should be unfamiliar with. 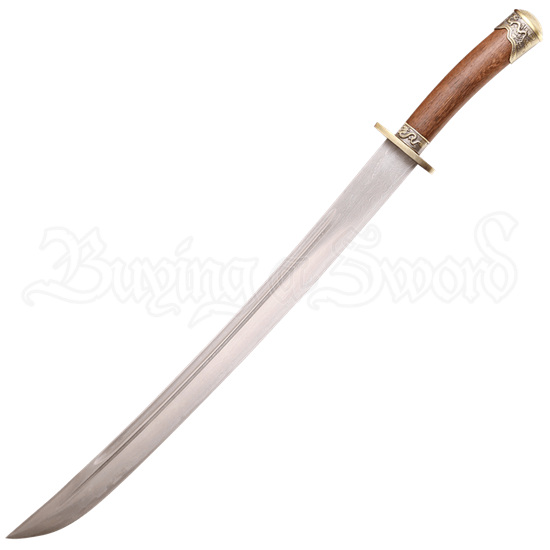 The Qing Dynasty Dragon Dao features a hand-forged Damascus carbon steel blade as well as natural wood handle and scabbard, both with cast metal dragon accents. 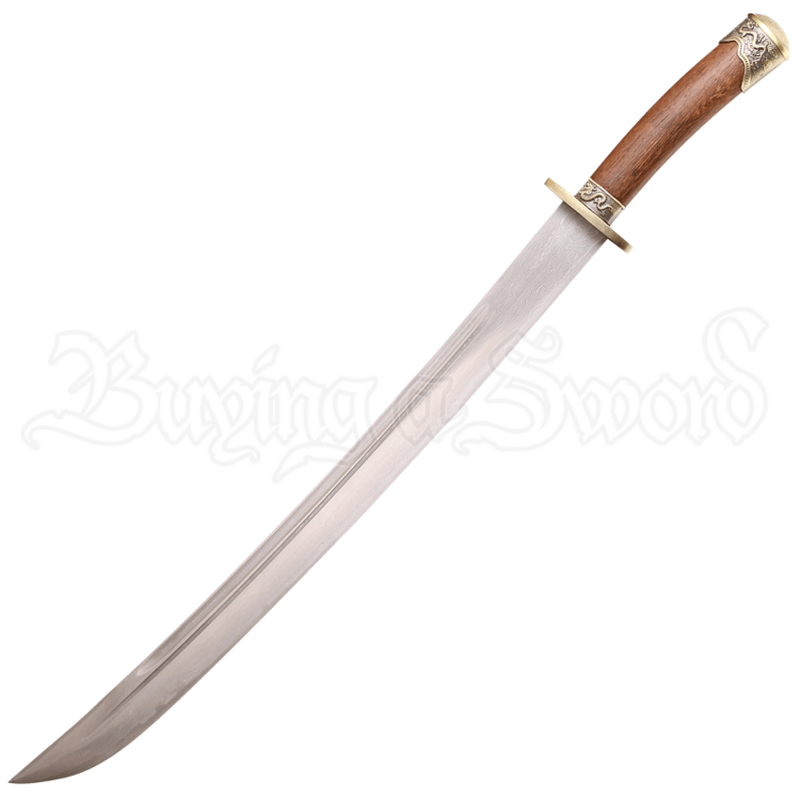 This sword also includes a deluxe wooden box for safe storage of this precious sword. Purchase the Qing Dynasty Dragon Dao for a beautiful functional show piece for your home today.